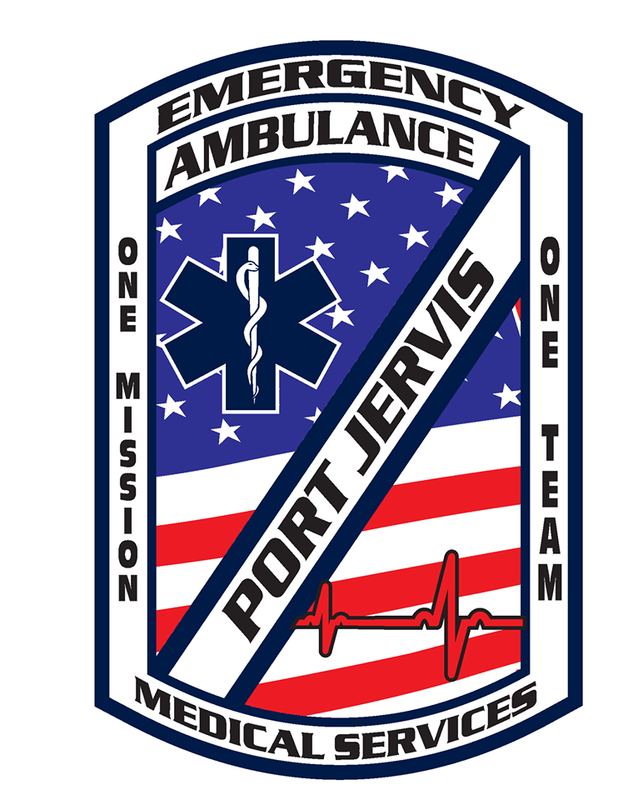 Home Page - Port Jervis Volunteer Ambulance Corps, inc. Proudly Serving The Tri-States Since 1958. The Port Jervis Volunteer Ambulance Corps, Inc. has been in existence for over 58 years, starting as The Port Jervis Lions Volunteer Ambulance Corp. on April 22, 1958. The corp. started with a converted hearse, donated by E. Arthur Gray. Today, the Port Jervis Volunteer Ambulance Corps, Inc., provides basic life support emergency medical services to not only the City of Port Jervis but also to the entire Town of Deerpark and, when requested, to our neighbors in Sullivan County (NY), Sussex County (NJ), & Pike County (PA). We are staffed 24 hours a day, seven days a week, 365 days a year. The Port Jervis Volunteer Ambulance Corp, Inc. is a non-profit organization. We staff our ambulances with both paid and volunteer personnel. Our funding comes from insurance billing and the generous donations of our community. In our first year, the Port Jervis Lions Volunteer Ambulance answered 153 calls, now our ambulances are requested to respond to approximately 2,000 calls for help each year. We serve a population of over 15,000 residents and cover an area of over 70 square miles. Our service area is one of the largest in Orange County, New York. As well as providing emergency ambulance service to the community the Port Jervis Volunteer Ambulance Corp. also covers many of our area’s special events including parades, football games, festivals, the annual 5K and 10K races. We have a huge amount of pride for our local community and you can see PJVAC at almost any event happenning within the City of Port Jervis and the Town of Deerpark. The Port Jervis Volunteer Ambulance Corp, Inc. is first and foremost a community service. Not only do we provide emergency and non-emergency medical services to the community, and standby services for special events; we also provide free training to our members which not only helps our community when they are on our ambulances, but allows them to successfully gain employment as Emergency Medical Technicians with local commercial providers.